Have you tried every diet and nothing works? You loose weight only to regain it after just a few weeks. For people who suffer from obesity and wish to permanently loose weight, sleeve gastrectomy (or gastroplasty) is the ideal solution. 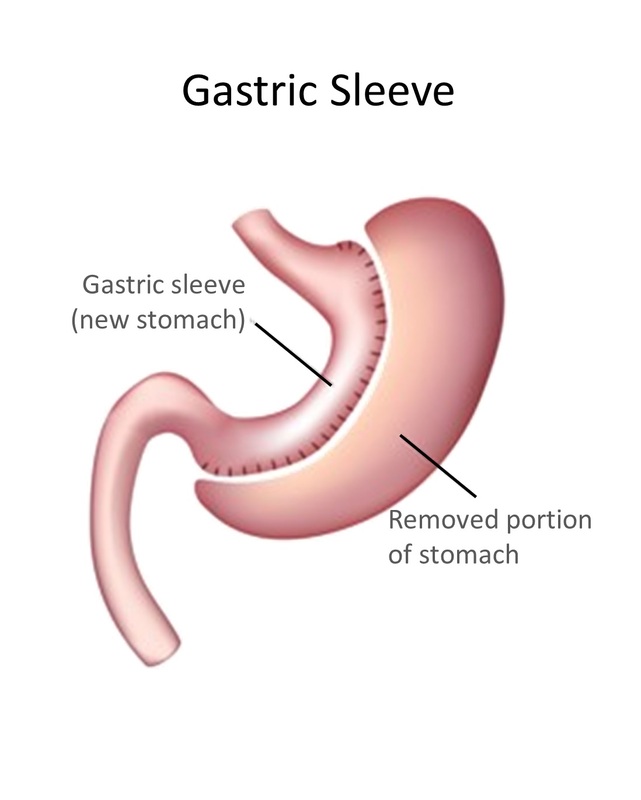 Sleeve gastrectomy is a surgery, which consists of removing a large portion of the stomach. This will consequently diminish the patient’s appetite. Combined with a healthy diet and regular exercise, this surgery promises lasting and concrete results. As a result of the surgery, the removed portion of the stomach will form a “tract”. The aim behind this process is to slow down food passage, which in turn will be evacuated in the small intestine. • Due to a reduction of stomach size and volume, the patient will feel full with lesser food. • Appetite will diminish because the part of the stomach secreting the hunger hormone (Ghrelin) is removed. • Gut flora modification is performed to restyle the patient’s appetite towards certain foods. For instance, if the patient prefers greasy or sugary foods, he/she will appreciate vegetables and healthy options more after the surgery. This operation is recommended for people suffering from obesity and having a BMI (body mass index) of over 40. People with comorbidities and having a BMI over 35 will also be considered for the surgery. Sleeve gastrectomy is particularly conceived for big eaters. • Have one or two consultations with the surgeon to evaluate the patient’s health and verify if he/she presents any contraindications to the surgery. • Undertake abdominal echography or abdominal imaging depending on the patient’s situation. The day after surgery, it is possible for the patient to drink some water upon the surgeon’s consent. During the first month after surgery, the patient should eat slowly because the stomach is healing. The patient should also plan ahead 3 to 4 weeks of complete rest to quicken the recovery process. The patient will be able to slowly get used to their new stomach during this period. He/she should be followed by a multidisciplinary team. In general terms, vomiting and vitamin deficiency is rare during recovery. The patient will feel pain during the first few days after the surgery. These pains will be alleviated thanks to antalgics prescribed by the surgeon. Vitamins and food supplements will also be prescribed. • The patient should consult a nutritionist at least once every 4 weeks in order to draw up a dietary program. • The patient should consult the surgeon 3 months, 6 months and 12 months after the surgery. • The patient should start practising a physical activity on a regular basis to maintain surgery results. Aside from walking, he/she will have the choice to practise swimming, dancing and several other activities. The choice will be based on the surgeon’s recommendations. Do not hesitate to ask for a quote for your Sleeve Gastrectomy procedure. You can contact us by calling us by phone or by filling out the online quote request. Our staff is at your service and will always be glad to help you.